My neighbor had gifted me a bowl of fresh strawberries from her farm and I was extremely excited about it, but after almost running out of ideas on what to do with the strawberries, I stumbled upon a recipe from the internet; strawberry crème brulee to be precise. I tried it out a couple of times and on most occasion, it turned out to be an epic fail but that didn’t stop me though, instead, it made my research more intense (almost googled my face off in the process). 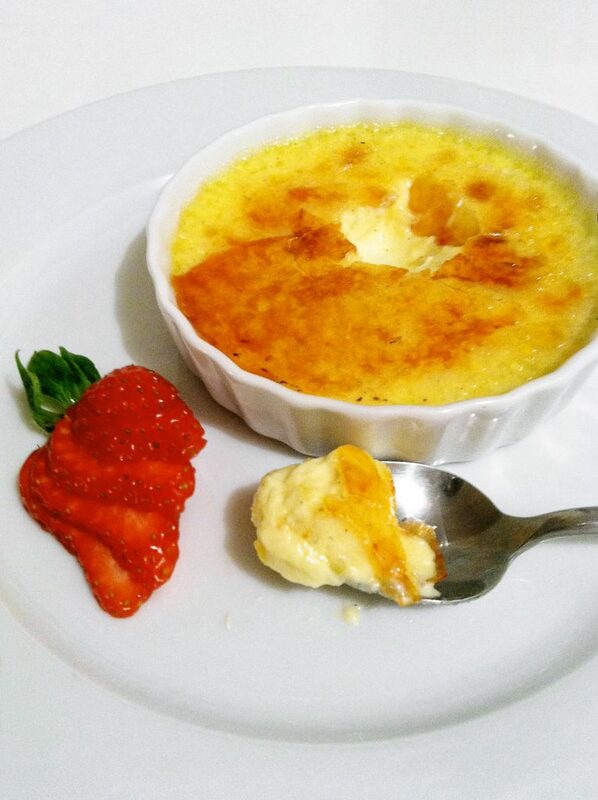 And in the end, I finally got it and I have succeeded in drawing up the perfect one and I am excited to share the perfect, hassle-free recipe for an amazing, elegant, creamy, rich strawberry crème brûlée. But before I share my recipe with you let’s look at a thing or two about the strawberry crème brulee. What is a Crème Brulee? For those who still don’t know what I am referring to, the strawberry Crème Brûlée is a dessert consisting of a custard base and a topping of caramelized sugar. It is a delicious dessert with a little twist. 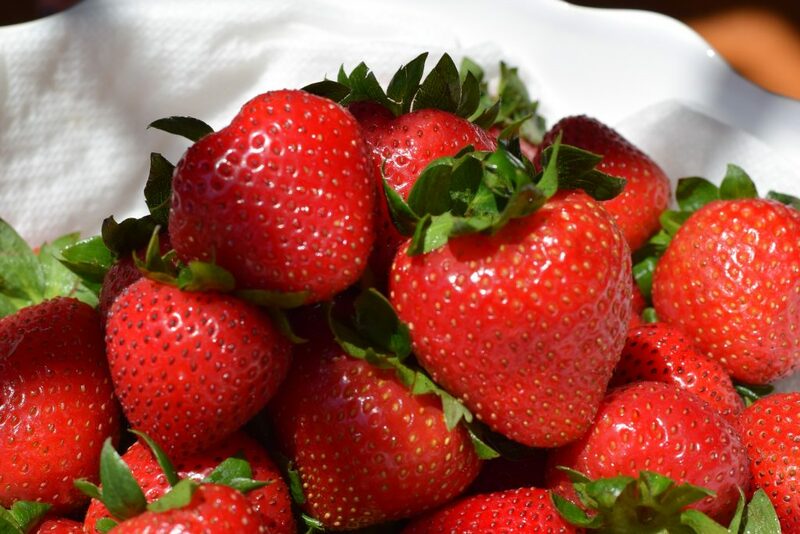 It basically includes the use of fresh strawberries fruits and caramelized sugar. One can either choose to add strawberry sauce to the custard or just putting chopped strawberries in the bowls before pouring the custard to bake, giving it a mysterious reveal. The Strawberry crème brûlée is a perfect dessert you eat any time of the year including Christmas, New Year’s Day, Mother’s Day and Thanksgiving. The crispy, burnt sugar is actually the best part of this dessert and I just can’t seem to get enough of it. It may interest you to know that this dessert has other names, which includes Trinity cream, burnt creme, Crema Catalana according to the Catalans and Cambridge burnt cream. More so, looking at the origin of this amazing dessert recipe, it said that France, England and Spain all claim to be the country where crème brûlée originated. Although the first printed recipe for crème brûlée is from a French cookbook. The recipe for Crème Brûlée was less seen in cookbooks until the 1980s when it became really popular. 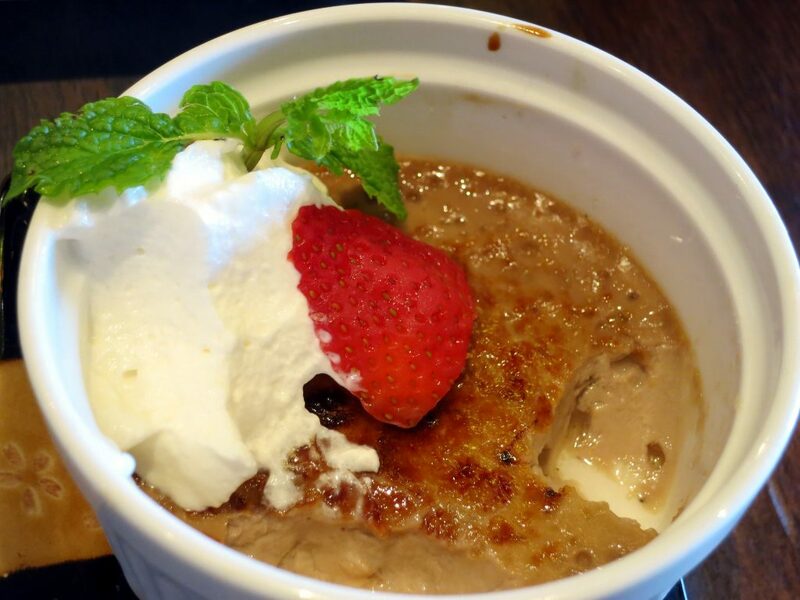 The Crème Brûlée is made with four major ingredients and they include the following; heavy cream, sugar, eggs, and vanilla extract and this happens to be the traditional ingredient list, but over time other flavors and twists have been made. There are quite a lot of ways you can prepare this tasty and delicious dessert but the recipe I am going to share with you today is actually one gotten from my numerous trial and error. I would say it is perfect but then again as they say nothing is truly perfect. Next up let’s take look at how to prepare strawberry crème brûlée from scratch. Special note is to begin the recipe a day before. Pour the cups of heavy cream into a medium saucepan. Use the tip of your sharp knife then remove the seed from the vanilla bean and transfer to your cream mix gently and simmer over low medium and allow to almost boil ensure the mixture doesn’t over boil. Once the cream is warm and ready sieve the mixture through a mesh to remove seeds and any form of pulp so it becomes smooth. 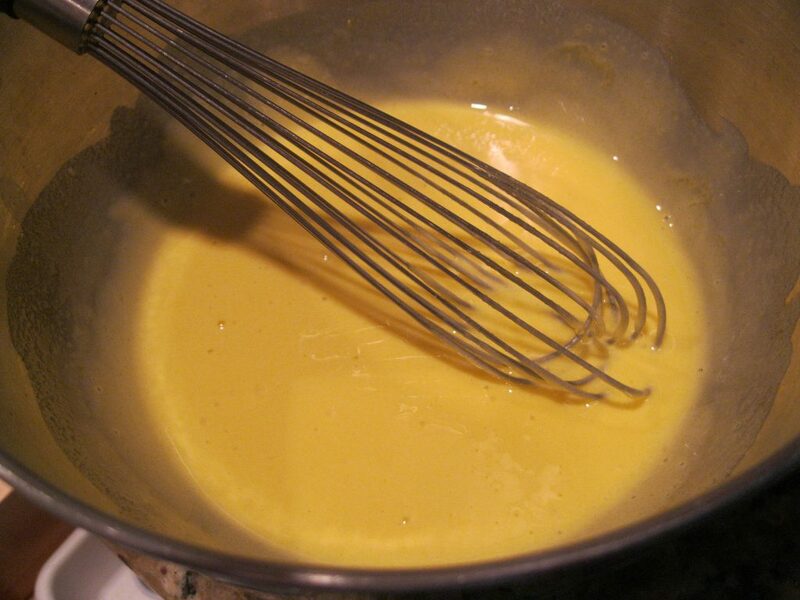 Pour a cup of the smooth cream over the egg and sugar mixture and whisk thoroughly ensure not to add too much as this might scramble the eggs. Next up divide the mixture between six ramekins, make sure this is done evenly and add a single cup of fresh halved strawberries to each ramekin. The strawberries should be seen floating on top of the custard covering the surface. Cover the ramekin with aluminum foil and transfer to a baking tray or baking sheet. 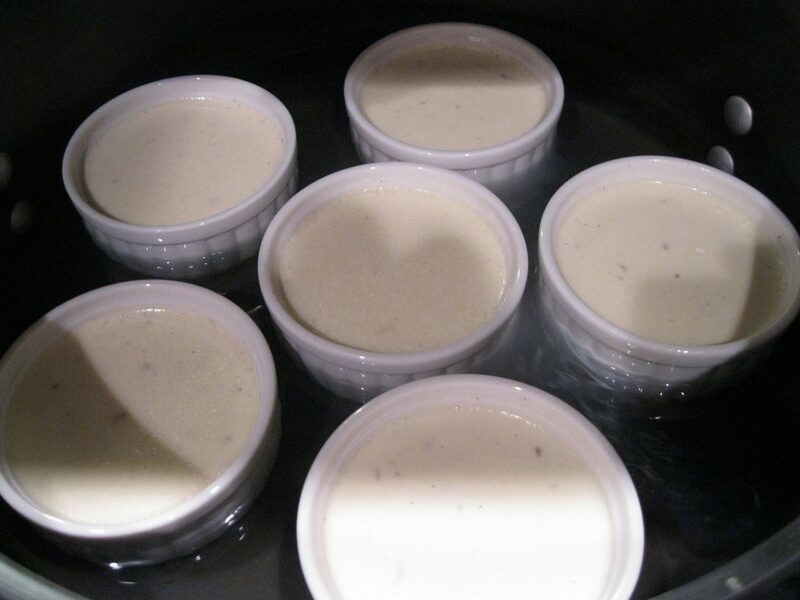 Pour sufficient amount of water up to half of the ramekin, this prevents it from cracking. Put the tray in the oven and bake for at least 20-30 minutes and set aside to cool or store in a fridge overnight. Sprinkle sugar evenly on the surface of the brulee. Use the chef torch to carefully golden brown the sugar, this allows for a thin, crisp over the surface of the brulee. Garnish with the chopped strawberries. Best served immediately and enjoy. Voila, you have made the best strawberry crème Brulee. Note: Due to the fact that vanilla bean pods might be too expensive, it is therefore advisable to substitute it with at least some quantity of vanilla essence or vanilla bean paste. Split the vanilla bean pod properly with the use of a knife (the sharp one most preferably) slice along the length of the pod and gently remove the seeds and transfer them to the cream. Ensure that you don’t throw away the pods as they are still pretty flavorful. To get a more intense vanilla infusion you can cook the pods with the cream. But if you can afford to buy the vanilla bean pod, then kindly ignore this. It is imperative that you cook the custards ramekins in the water bath as this ensures all-around cooking of the custards. Try as much as possible not to overcook the custards as overcooking will most likely produce a custard that will have crumbled texture. More so if you happen to own an oven that speedily runs hot, constantly check your ramekins to see how ready they are. Feel free to open your oven door as many times as possible as custards, unlike cakes, are not in any way disturbed by this. To know if your ramekins are properly cooked use a utensil (a heatproof one so you don’t get burnt in the process) tap on its side and if the firm and the center not so firm then it simply means they cooked well enough. Worried about not having a chef’s touch, worry no more as I will show an alternative you can use to make the crème Brulee, which basically involves carefully covering the top of custard with a good amount of sugar and heat in your broiler but ensure to watch them consistently as sugar brulee’s faster than you might expect and will not only burn the top but also re-heat the custard which is not so good as I have mentioned earlier before. Note: You can ditch the process of making the strawberry sauce and use chopped strawberries instead. For this method, the custard is prepared without the strawberry sauce. The chopped strawberries are first added to the Ramekin molds and the custard is poured in. More so, the strawberries in this recipe can be substituted with other berries including raspberries and blueberries. Got only blueberries, no problem. Just substitute the blueberries for strawberries in this recipe. The only difference is to pour in the blueberry sauce into the Ramekin molds first before pouring in the custard. And you are halfway to preparing a classic, rich, refreshing Crème Brûlée with a blueberry flavored twist. Passion fruit works for this recipe as well and they also make very tasty and delicious fruit crème Brulee. This recipe can easily be adapted to any flavor. Conclusively Strawberry crème brûlée looks fantastically elegant but is surprisingly very easy to make and a fantastic dessert for friends and family. I must also warn you, there is a high possibility that you might find this dessert addictive. Still reading? Go make this amazing dessert and give your taste buds a treat.